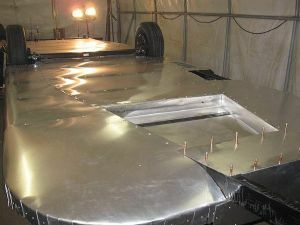 This Airstream belly pan aluminum is more corrosion resistant and softer for ease of forming. 5052-H32 belly pan aluminum is the Highest strength in the NON-heatable alloys. Not structural. 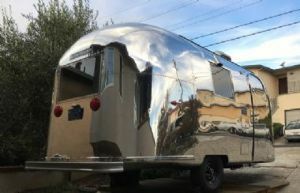 5052 H32 belly pan aluminum sheet has higher fatigue strength than most alloys 5052H32 airstream belly pan aluminum sheet has excellent corrosion resistance, particularly in marine applications and has excellent workability. CLECO KIT 1/8" or 5/32"